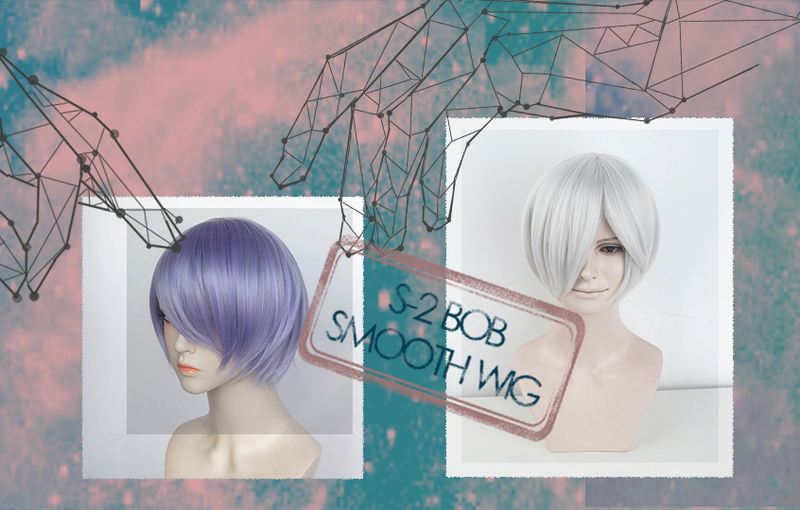 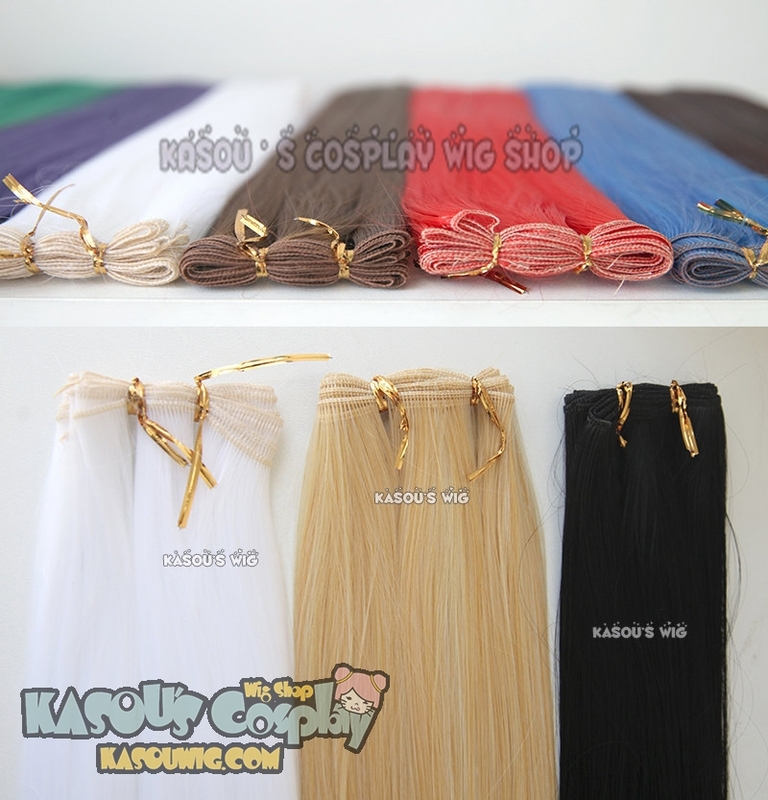 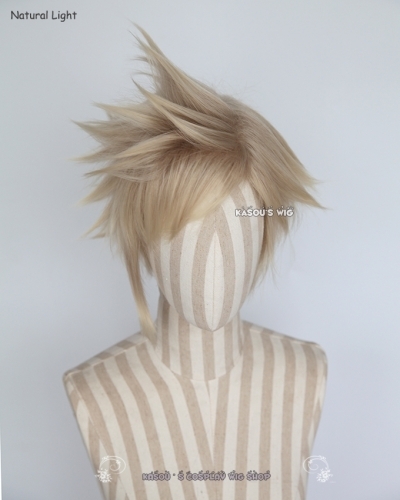 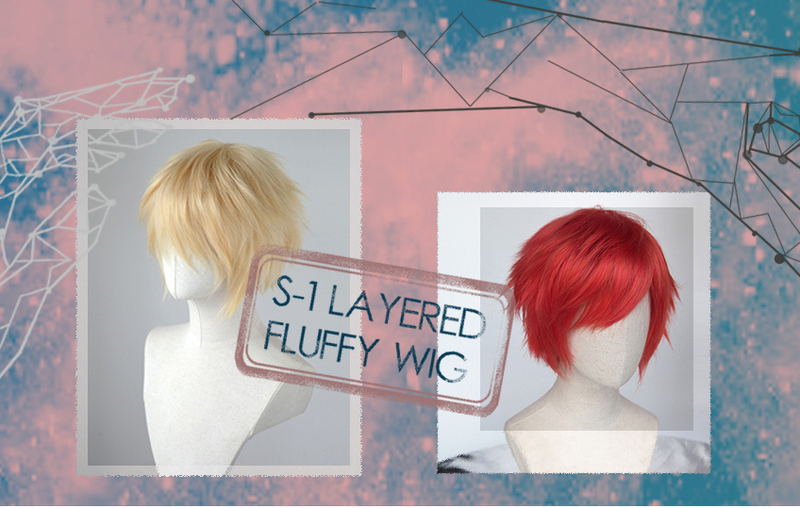 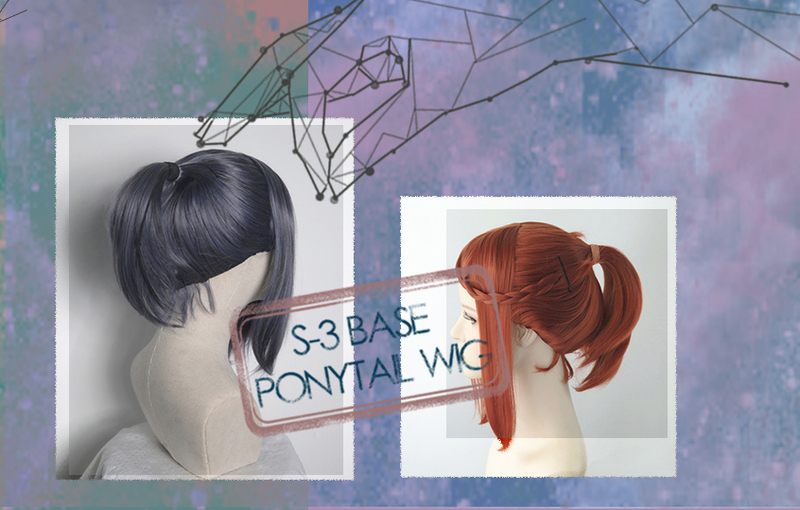 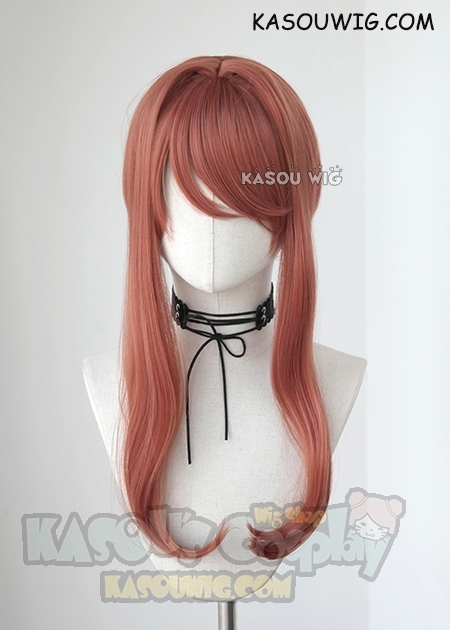 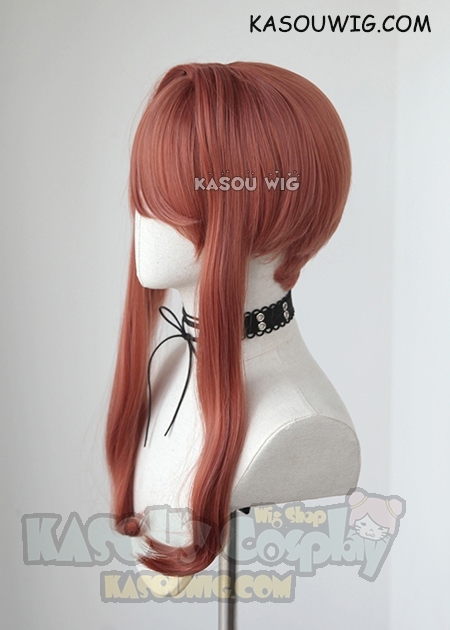 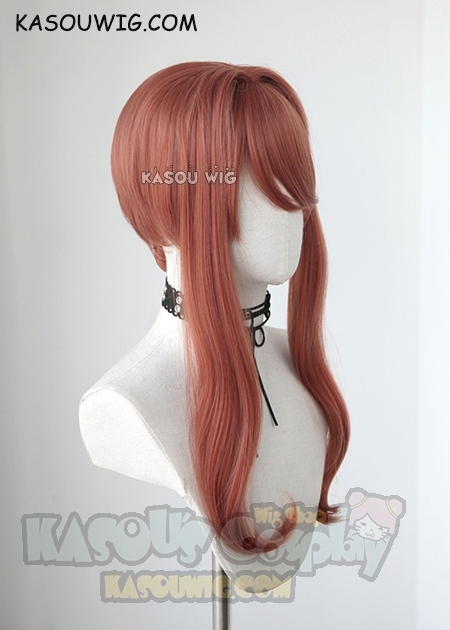 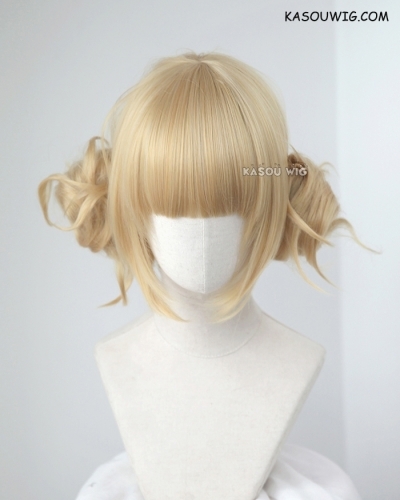 Style: base short wig + 90 cm long ponytail. 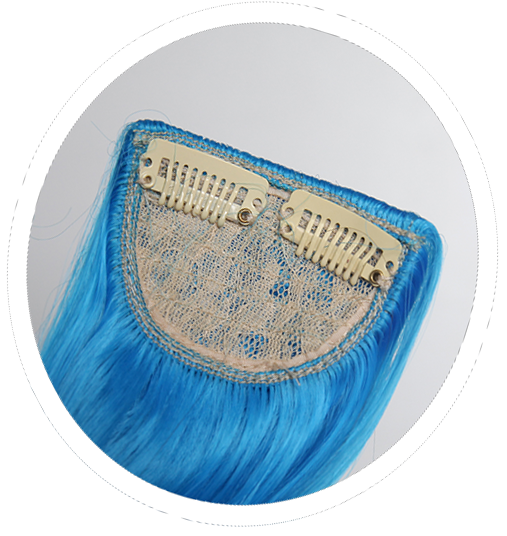 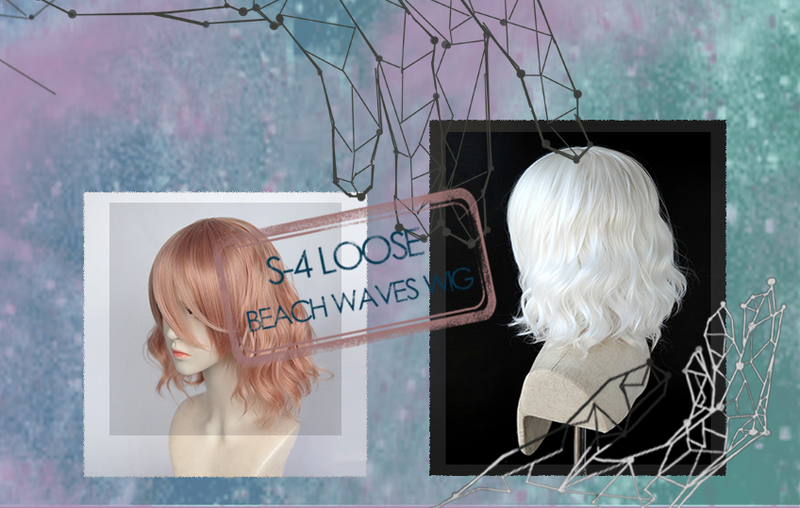 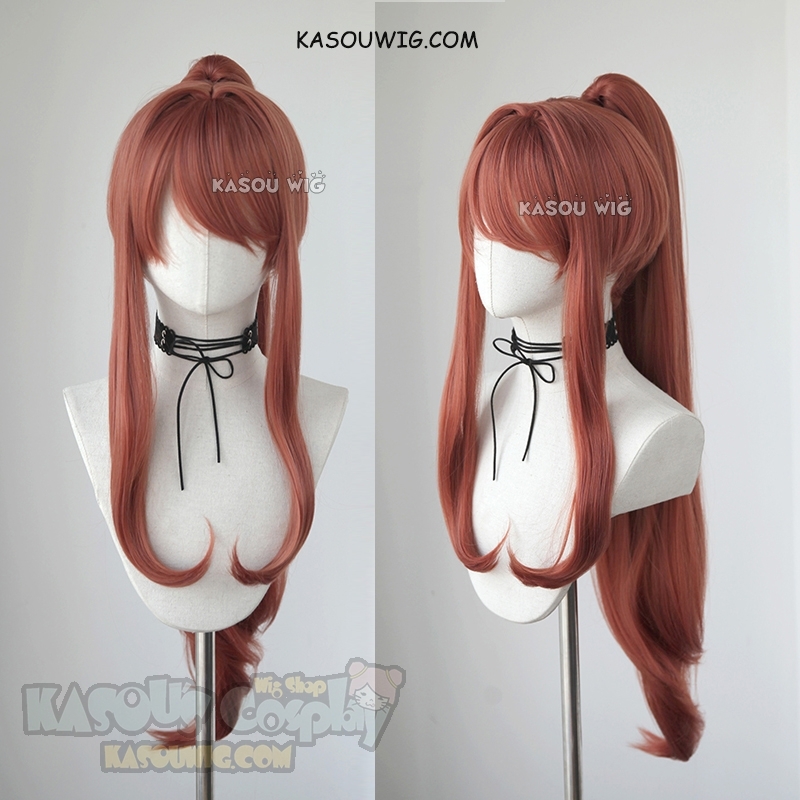 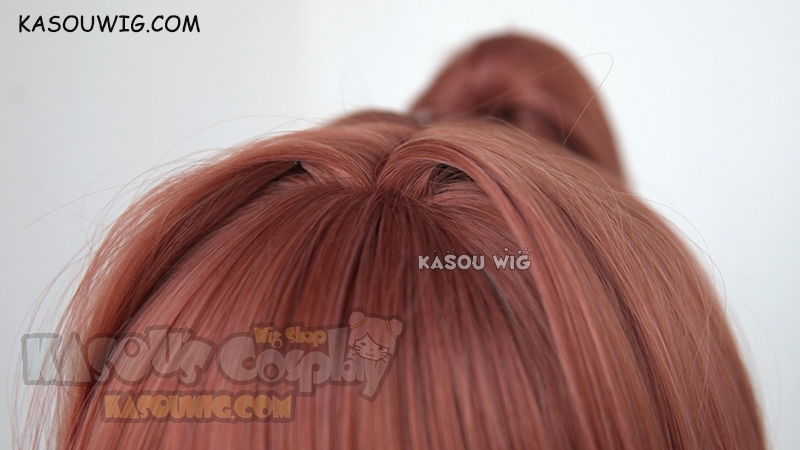 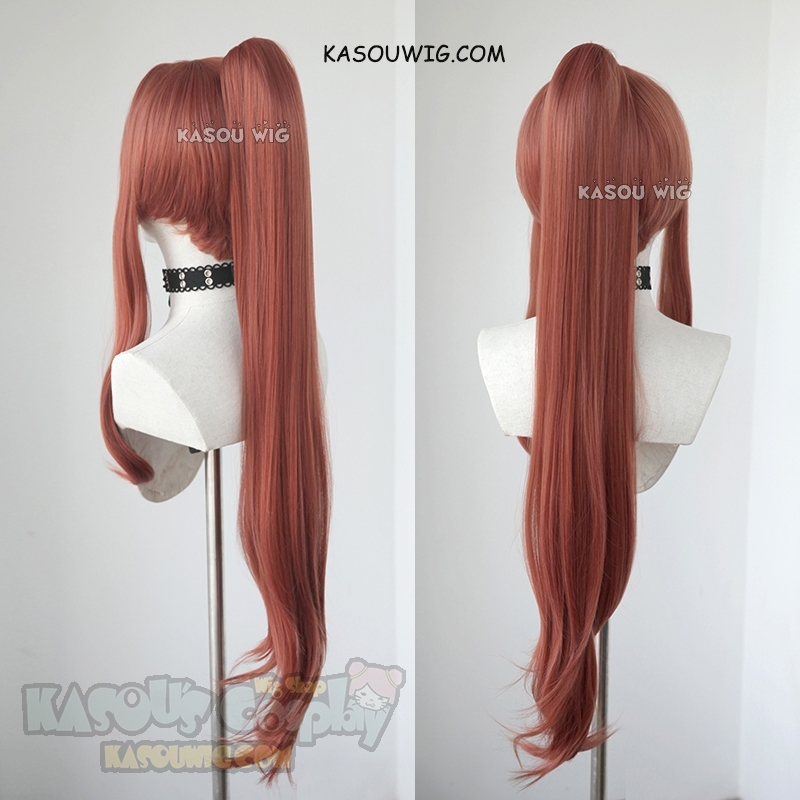 The base wig has pre-styled top with zigzag parting line, two locks of 70 cm long pieces beside cheeks with a nice inward curl at ends. 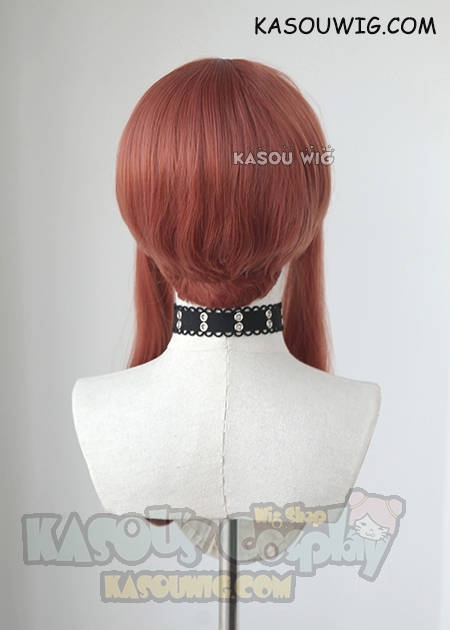 The ponytail is straight on top but loose, relaxed curls at bottom.